Facebook has been experiencing explosive growth in India by adding 17 million new users in the past 12 months. This brings the total number of Facebook users in India to 25 million. 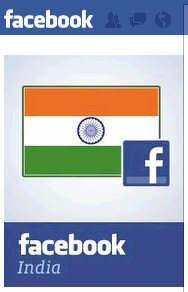 Because of this growth, the Indian government is urging Facebook to expand its operation in the country. Currently, Facebook employs approximately 100 people and is actively recruiting in the country, seeking user operations and sales operations staff, but also financial and recruitment specialists.